Carnival Cruise Line has launched two new sales but you only have a few days until both of them end. If you’re thinking of booking a cruise vacation with Carnival then you might be interested in two sales which will end in a few days. 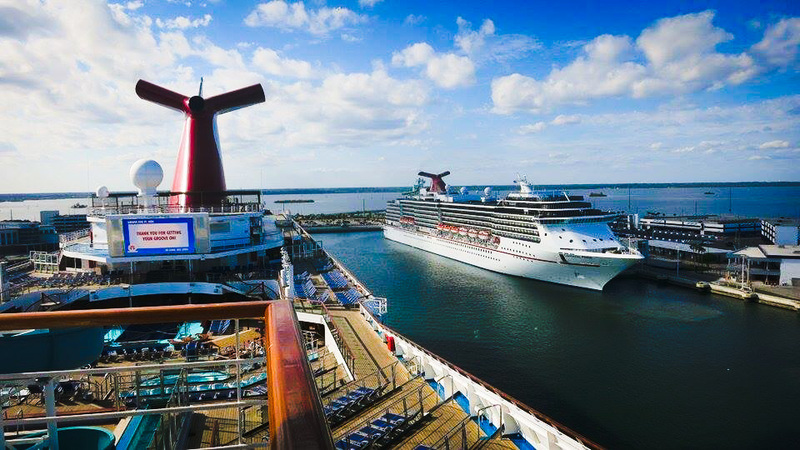 We’re always looking out for ways where our readers can catch a great deal and Carnival has a “Pack & Go Sale” and an “Onboard Credit Sale” which can both help you save some money for your next outing at sea. The Pack & Go Sale started on today, May 4 and will end on May 7 which means you need to be fast. Cruisers can get great rates on select sailings through August 2017. Rates start from $319 for 3-5 day cruises and $699 for 6-day cruises and above. You can save up to 30% on a wide range of itineraries which include many ships in the fleet. As usually, it would be best to check the terms and conditions on the Carnival site before going ahead. We are already packing our bags! Having some onboard credit to spend is always a good thing. Carnival launched its Onboard Credit Sale today, May 4 and just like above it will end in a few day on May 7. You’ll want to be quick to get this deal as everyone enjoys spending free money! This sale includes great rates starting from $359 for 3-5 day cruises and $699 for 6-day sailings and above. Cruisers will also get a $50 onboard credit per room, this can be spent using the Sail & Sign card while on the ship. This sale is on select sailings through Summer 2017 and always check the terms and conditions before booking. Enjoy the Sales and your upcoming cruise.